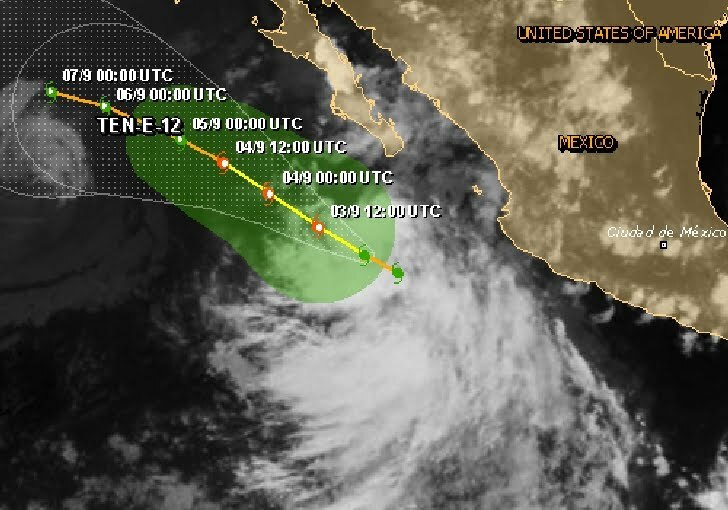 At 800 PM PDT the center of Tropical Depression Ten-E was located near latitude 19.0 north/longitude 110.9 west, about 445km/275 mi SSW of the southern tip of Baja California with maximum sustained winds of 55 km/h - 35 mph. The depression is moving toward the west-northwest near 17 mph - 28 km/h. 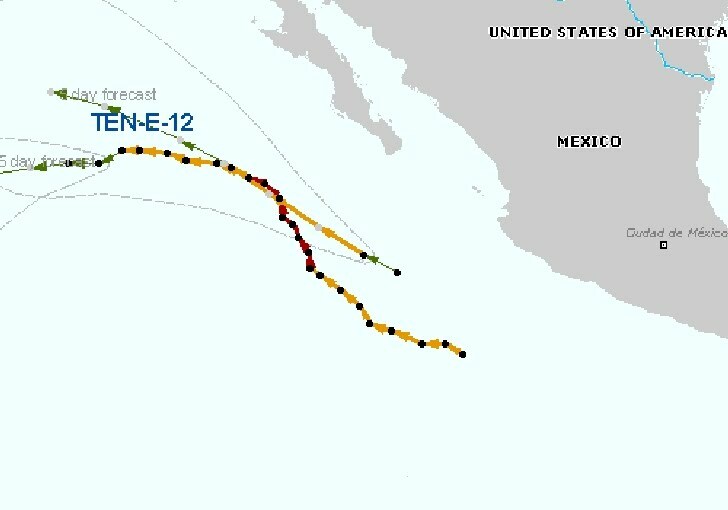 A west-northwestward to northwestward motion with a decrease in forward speed is expected during the next couple of days.